Everyone has a go to comfort food. I personally believe that we associate it with a childhood memory, something your mom or grand mom made, the specific aroma it generated or the flavor of their hands. It may not necessarily be an exotic dish, but just a regular meal. The memory associated with that particular dish makes it your comfort food. 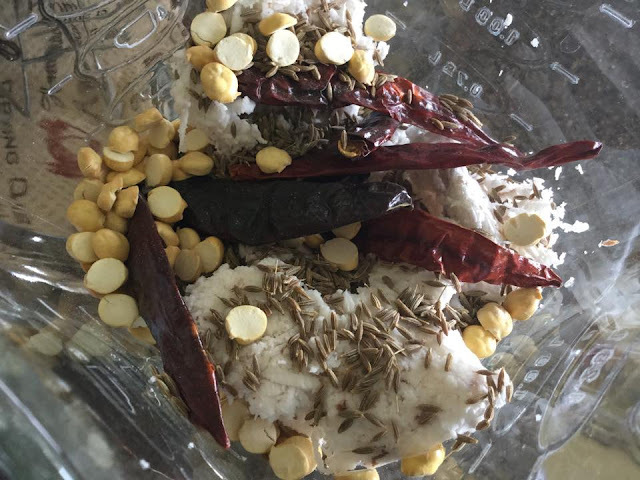 Kootu is a very traditional South Indian dish. 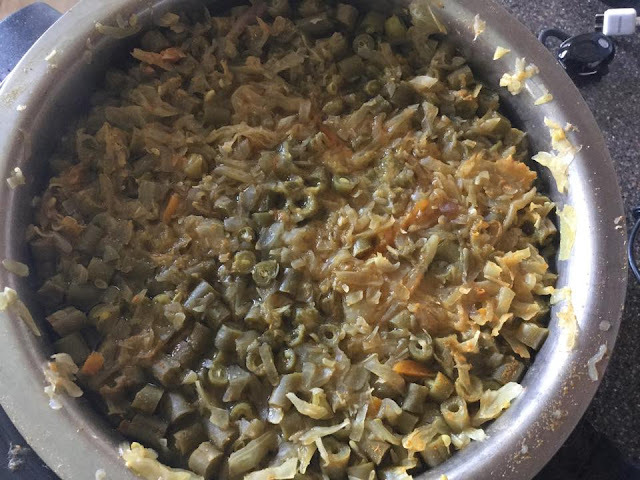 It is made with veggies and lentils and has a semi solid consistency. If you have ever had a friend from south or been to any wedding of theirs, you would have surely tasted this dish. Yes it is the same one! It is healthy as its made with veggies, its boiled and oil is only used for tempering. Only drawback is that it is to be enjoyed with regular steamed rice. Hence me and KR like to enjoy this dish on certain weekends where we can eat guilt free. We both love our traditional food and are voracious rice eaters. Unfortunately due to our diet, we avoid eating rice on weekdays. So this Sunday, it was Kootu special in my kitchen. 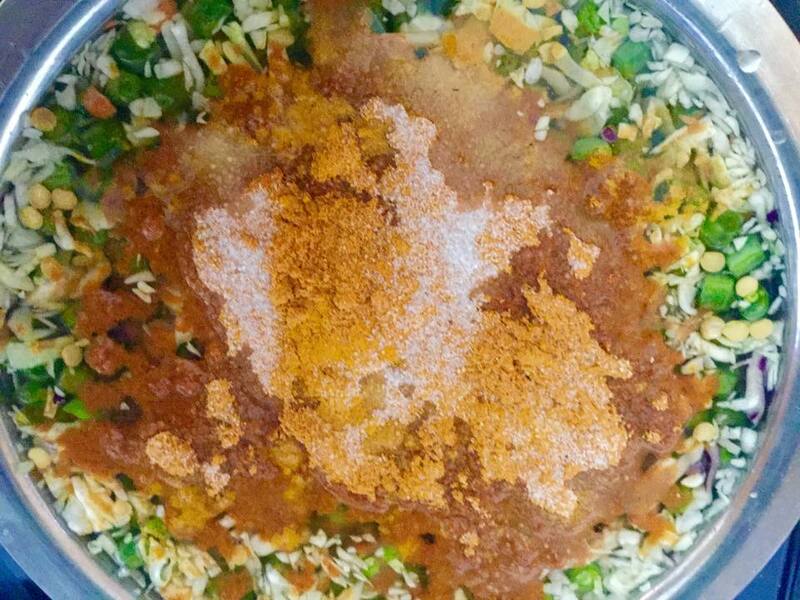 Grind the coconut, red chillies, roasted chana dal and cumin seeds to a fine paste. Add water if required while grinding. 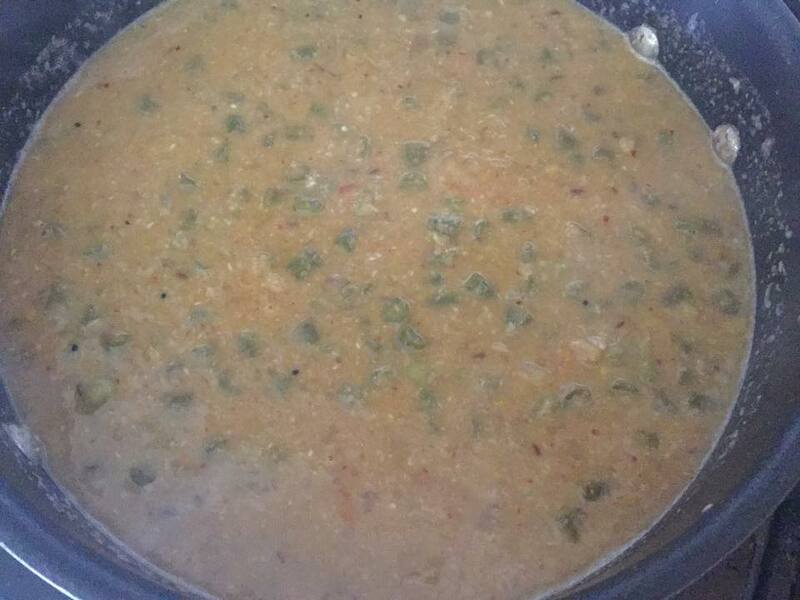 Boil the beans, toor dal along with turmeric powder, sambhar powder, hing and salt in water. Boil it in the cooker. Give it 4-5 whistles. Once done, open it and mix it well. In a non stick pan, add the oil. 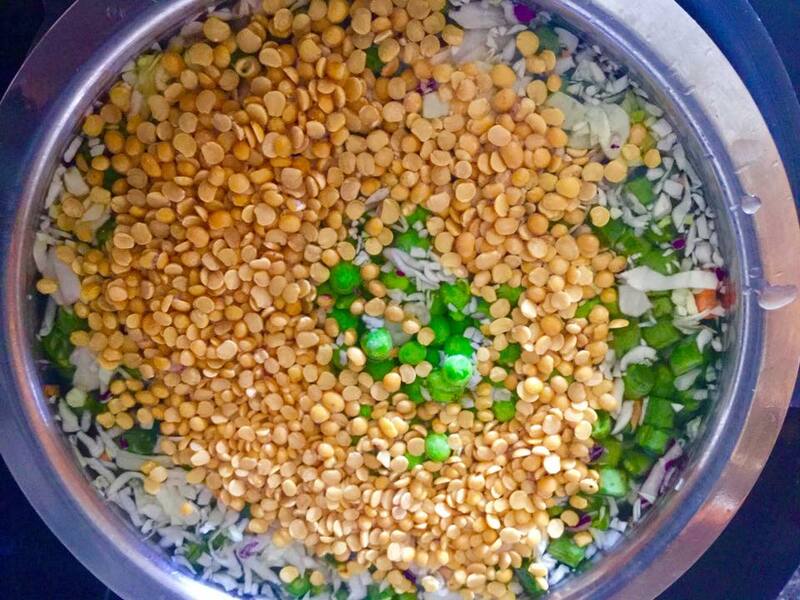 Temper the mustard and cumin seeds along with the urad dal and chana dal. Once the dal turns golden, add the ground paste. Fry it for 2 minutes. Now add the boiled vegetables. Mix it well. Check the salt and add if necessary. Bring this mixture to a boil. If it is too thin then add 1 tbsp of rice flour mixed in water to thicken this kootu. Garnish with cilantro. Serve this hot with some steamed rice. Trust me, you will be licking off your fingers once your done! You can add any vegetable to make this kootu. 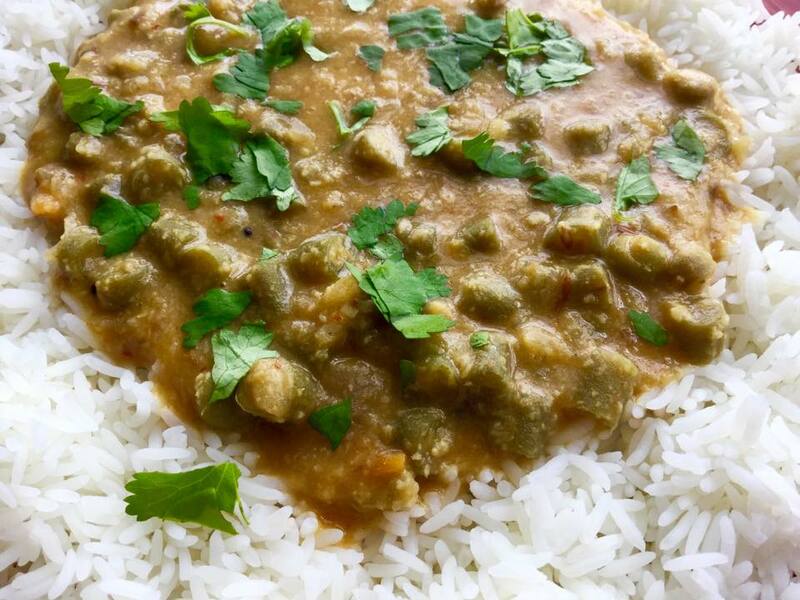 It is usually eaten with rice, however you can try it with an Indian bread as well. If you not using coconut paste, then it becomes more healthy as its just boiled veggies with lentils and cooked in 1 tbsp oil. You can change the kind of lentil to make this. You can try chana dal or moong dal instead of toor dal.